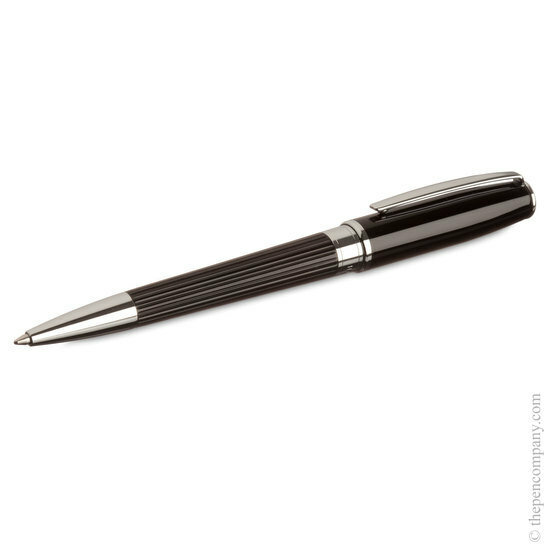 The Hugo Boss 'Essential Striped' range features long stripes engraved along the barrel to create an attractive and tactile pen body. Glossy black bodies and chrome accents combine to present a modern and refined aesthetic. The cap rotates to extend and retract the ballpoint. 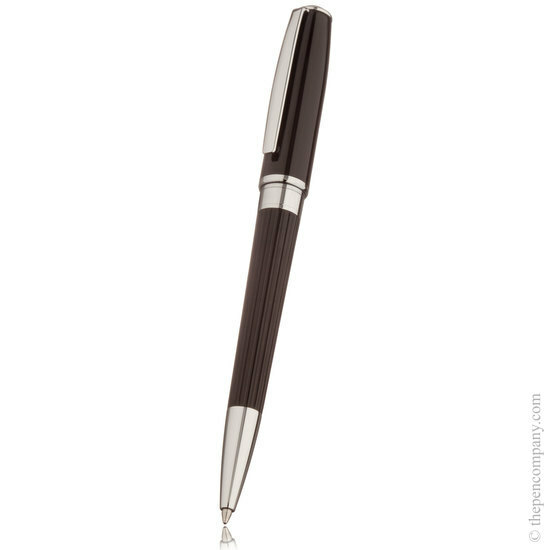 Accepts standard G2 ballpoint refills and comes complete with a blue refill. 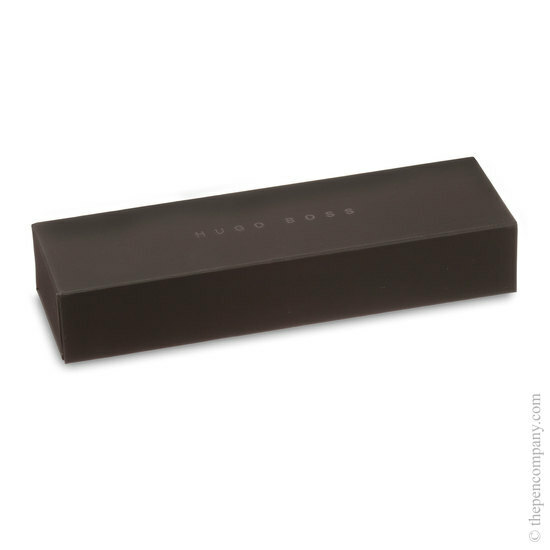 Comes presented in a matte black Hugo Boss box.